Widower Harry Makepeace lives in Manchester with his sickly daughter Cathie, scrimping and saving to get by. But after she suffers a violent asthma attack, the doctors say she must move to the clean, fresh air of the countryside to have any hope of survival. 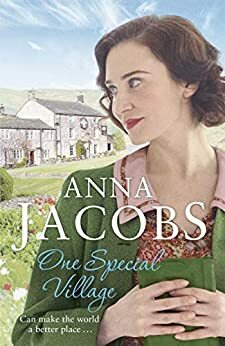 When Harry chances upon a patch of land for sale in Ellindale, and an advert for a disused railway carriage that can be made into a home, he snaps both up quickly. Harry swiftly becomes part of the community in Ellindale, making friends with the locals, and soon finds himself attracted to Nina, another newcomer to the village. Finally, he's found somewhere he and Cathie can build a new home. But their problems are far from over. Times are hard in Ellindale - Harry is not the only one struggling to find work. Then there's his old boss, who will stop at nothing to punish him for daring to leave. And Harry's already made an enemy in Ellindale - someone who could make his life very difficult indeed . . .
Every book in this Ellindale Series makes you feel like part of the community so beautifully described in every page. Fantastic book.